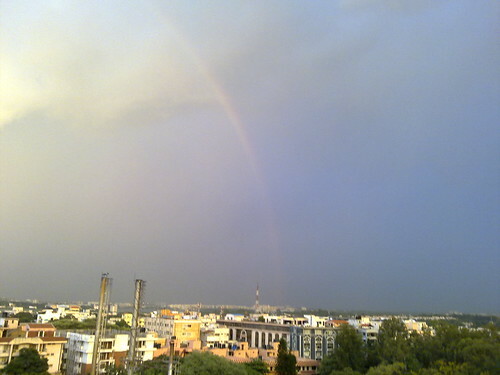 rainbow, originally uploaded by amulya. the skies were 3 faces today... one this pretty blue sky, the other golden yellow and the last strip, a sulky dangerous dark grey. and 'course the rainbow. pot of gold?